Luigi Piccatto was born in 1954 in Turin, Italy. 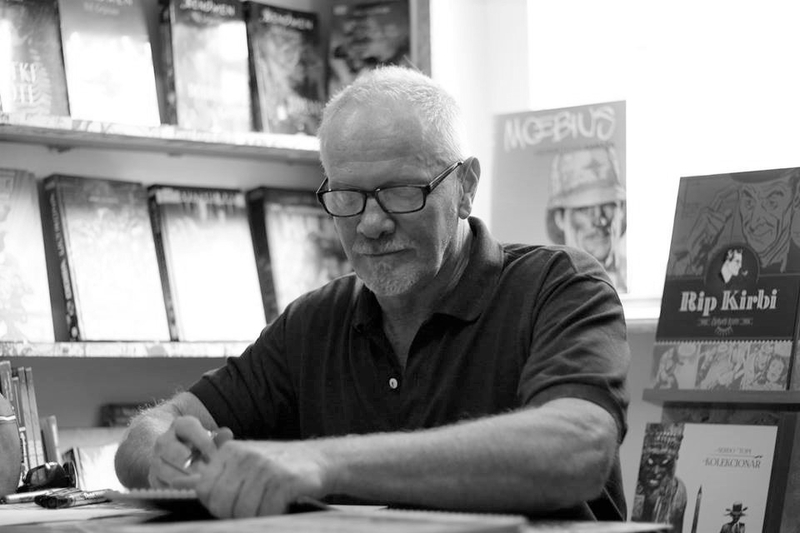 He quit medical school to pursue a career in comics, getting his first job in 1977 at the Corrier Boy magazine, where he drew the adventures of Chris Lean in collaboration with scriptwriter Raffaele D’Argenzio. From 1981 to 1985 he drew comics for Lanciostory and Skorpio magazines. For Edifumetto, he made a dozen episodes of the comic series Il Ribelle, and in the late ’80s, for the Corriere dei Piccoli, episodes of two series called Roy Rod and Abular. During the same period, he was freelancing in advertising. He is best known for his work on the Dylan Dog series, where he has been part of the artist line-up since 1986, for Sergio Bonelli Editore publishing house. In May 1987, his first work on the series was released in the episode The Return of the Monster (SD Extra No. 8). Piccatto’s drawing style on the series was always specific and recognizable, and he has worked on a great number of wonderful episodes, from Crime (DD LEX18) and Golconda (DD LEX 41), to The Pied Piper (DD LEX 90), and many others. He also worked on other Bonelli series, such as episodes of The Magical Wind and Demian. In 2012, in collaboration with scriptwriter Paolo Barbato and other comic artists, he worked on the series Il Romanzo a fumetti drawing the episode called Darwin. For the Zagor anniversary edition he worked on the episode in color called Zenith 666. It was created as an homage to Tiziano Sclavi and his nightmare researcher Dylan Dog. Pencils and inking were done together with Renato Ricci, and coloring duties were given to Fabio Piccatto. All this is a testament to his artistic flexibility and ability to fit into different comic stories.